HomeBaby & KidsFREE Ezerra Plus and Ezerra Extra Gentle Cleanser Giveaway! – 免费宝宝护肤试用样品! FREE Ezerra Plus and Ezerra Extra Gentle Cleanser Giveaway! – 免费宝宝护肤试用样品! 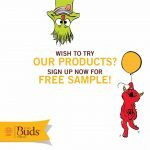 Ezerra Plus give away sample! Just fill in your information to redeem your free Ezerra Plus 10g and a 30ml Ezerra Extra Gentle Cleanser. Samples will be delivered within 14 days to Peninsular Malaysia and 21 days to Sabah & Sarawak. *Please note, due to Chinese New Year Celebrations, your delivery may be delayed. Please be patient. They will try their best to get your sample to you as soon as possible.Strictly 1 per household. Multiple entries will be deleted. Click here to Redeem Free Ezerra sample now! If your child’s skin is extremely itchy and scratched, it is at risk for unpleasant infections that can cause further discomfort and scratching. To break this vicious Itch-Scratch cycle you need an eczema cream like Ezerra Plus that can boost your child’s own skin defence system to protect it against germs, bacteria and other infection-causing enemies. Its powerful anti-itch property calms the eczema, stops the itch and strengthens skin function to keep your child free from the stress and discomfort of scratching dry sensitive skin. 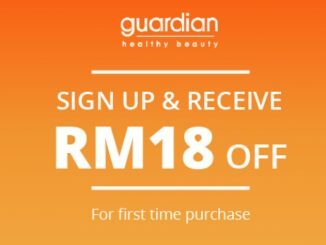 FREE Guardian Extra RM18off! 送你Guardian額外RM18折扣! 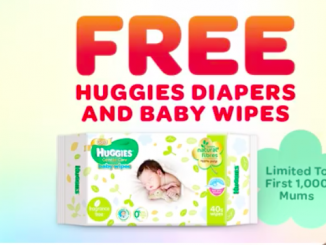 March 6, 2019 mygreatsales Freebies, Promotion, Sales event Comments Off on FREE Guardian Extra RM18off! 送你Guardian額外RM18折扣! 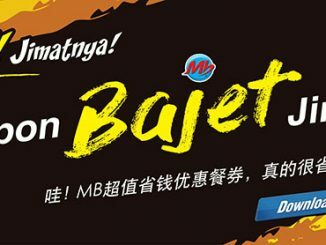 FREE Marrybrown Bajet Jimat Coupon!